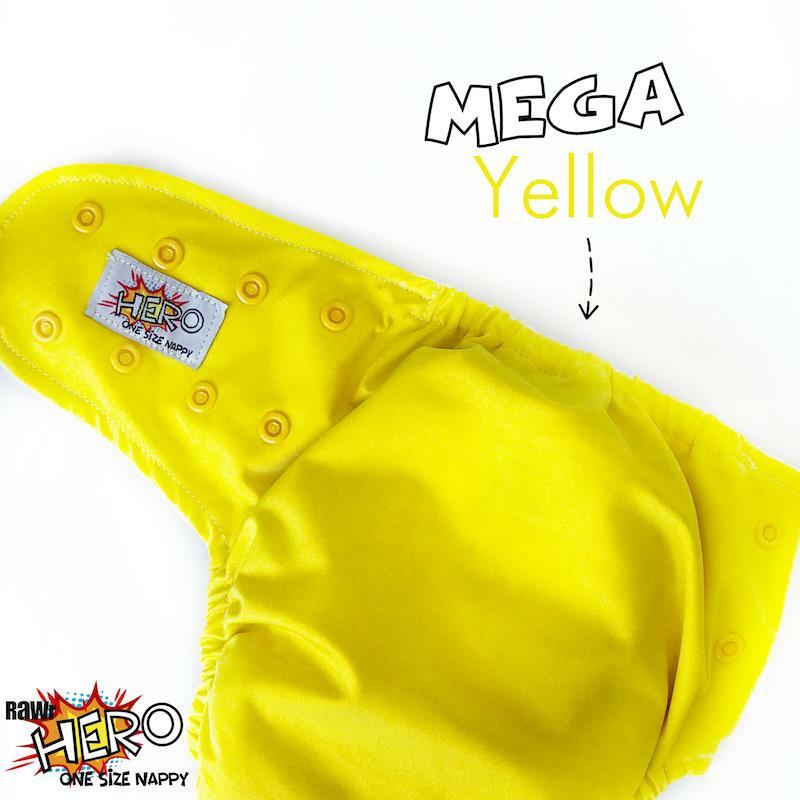 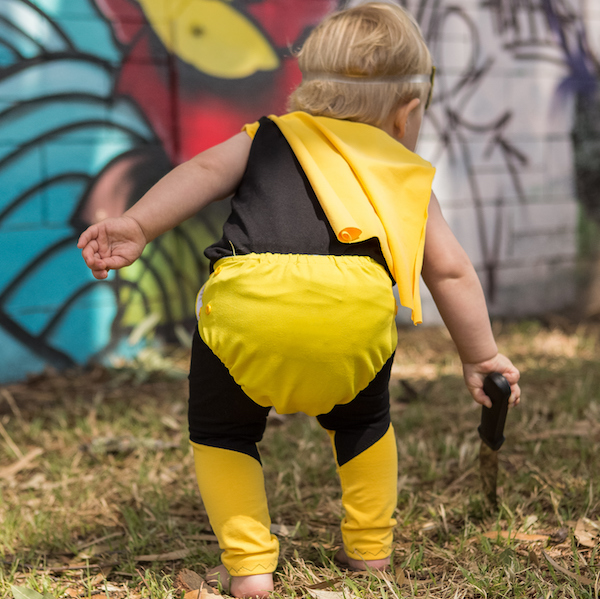 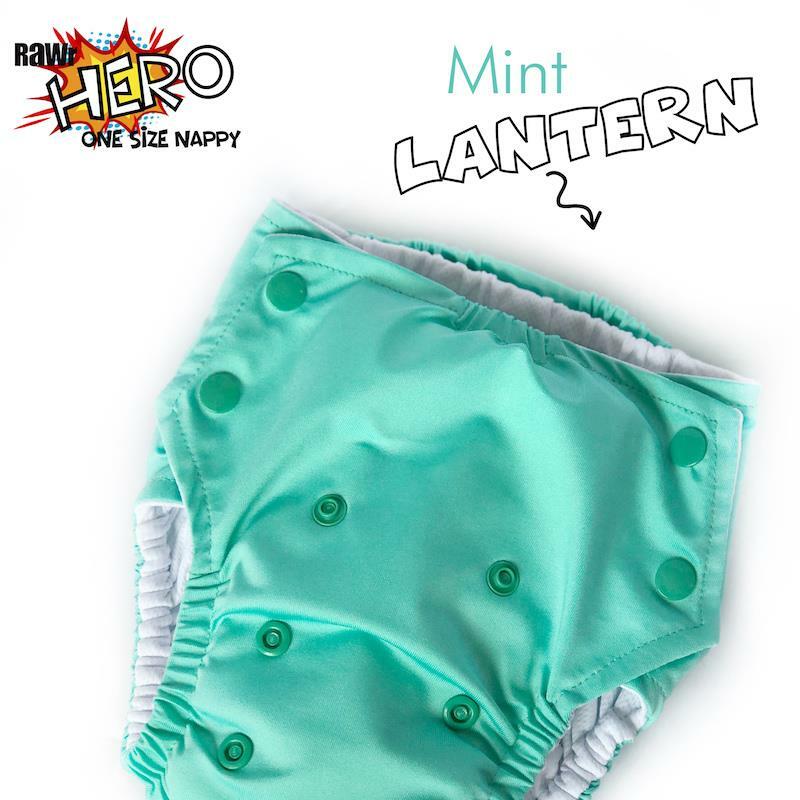 The new generation of One Size Day Nappies – super trim, super easy to use, super cute: An all round Super HERO in cloth nappies! 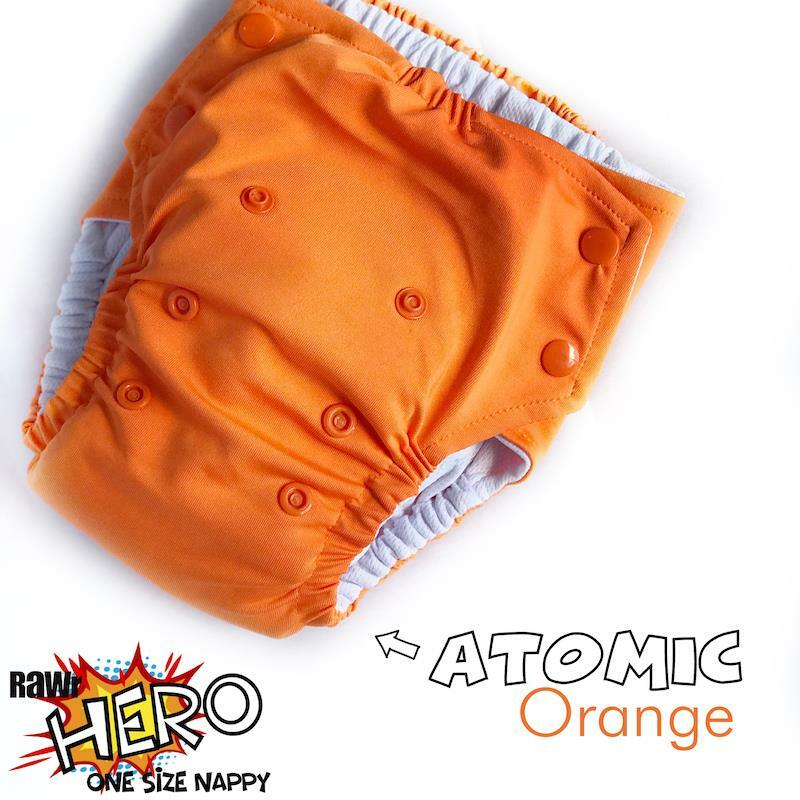 Purchase mini boosters for extra boosting particularly for toddlers and heavy wetters. 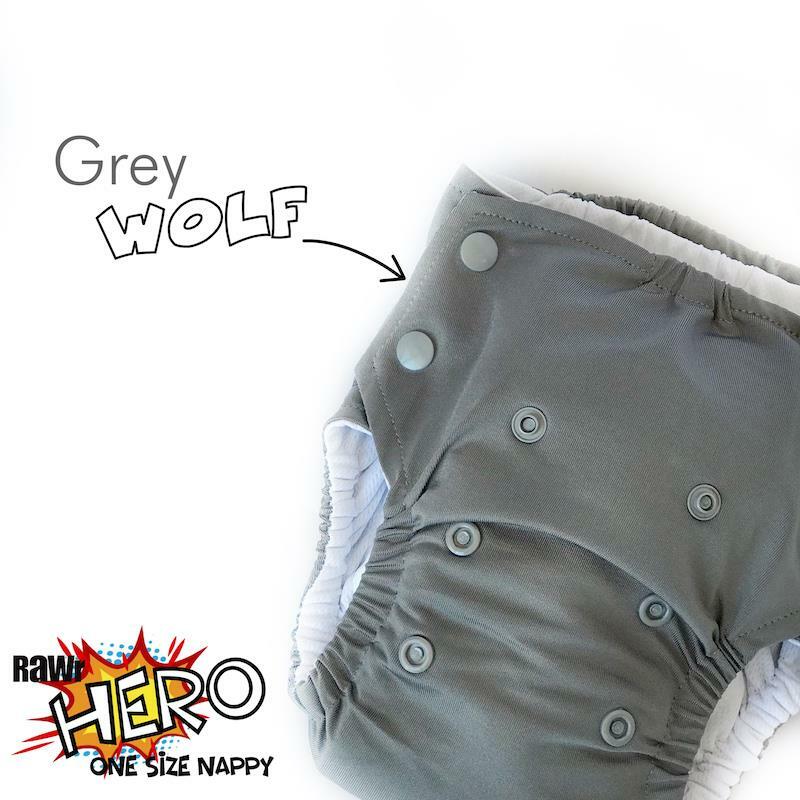 RAWr HERO = HERO OSFM Pocket Cloth Nappy + 1 long tail bamboo trifold insert. 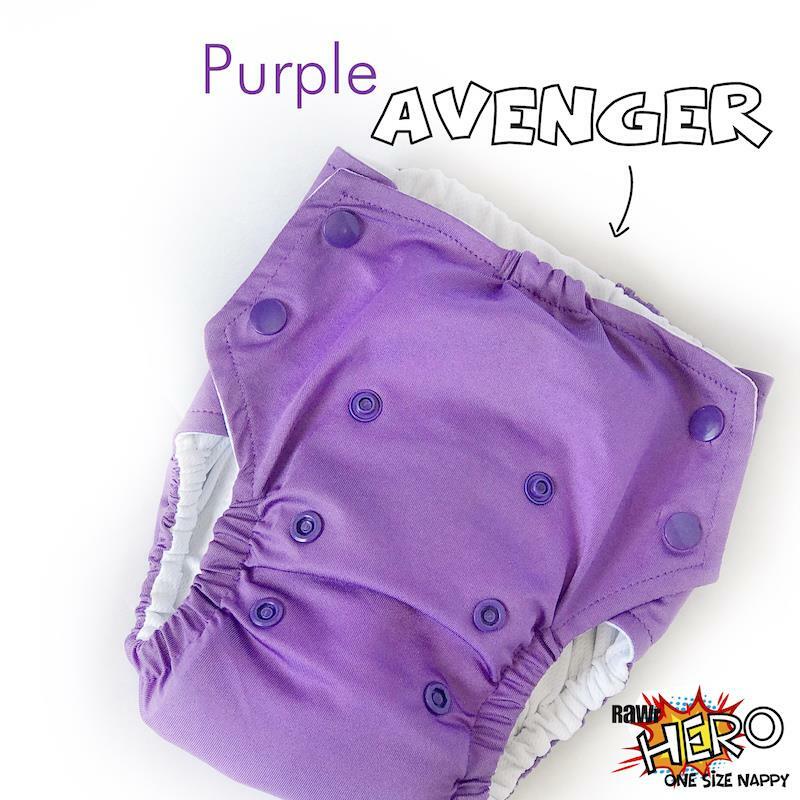 We recommend dry pailing (placing soiled nappies in a dry pail after rinsing, until washing). 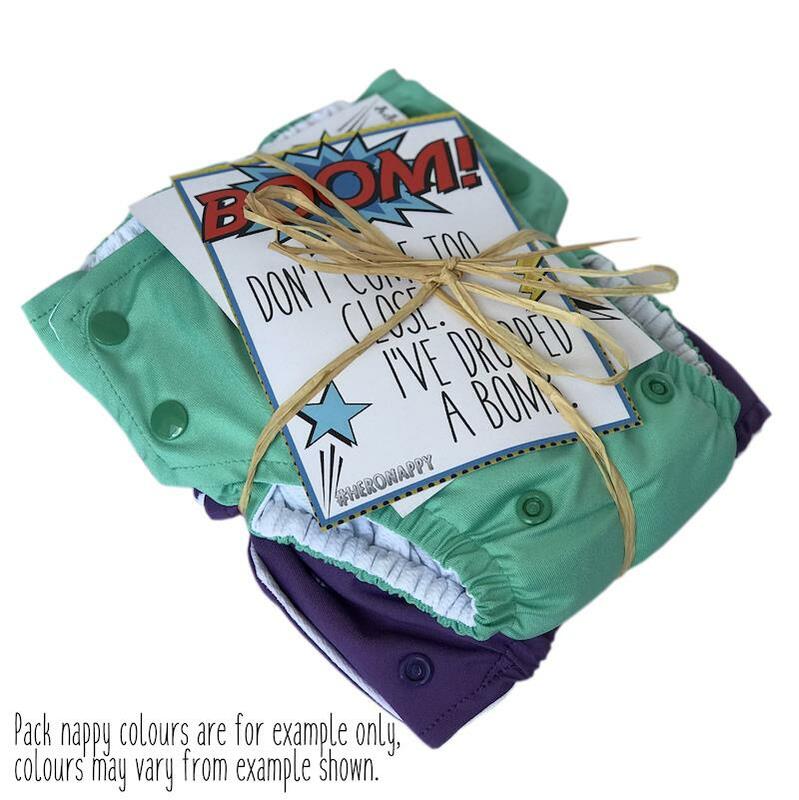 A pail liner will help contain soiled-nappy smells. 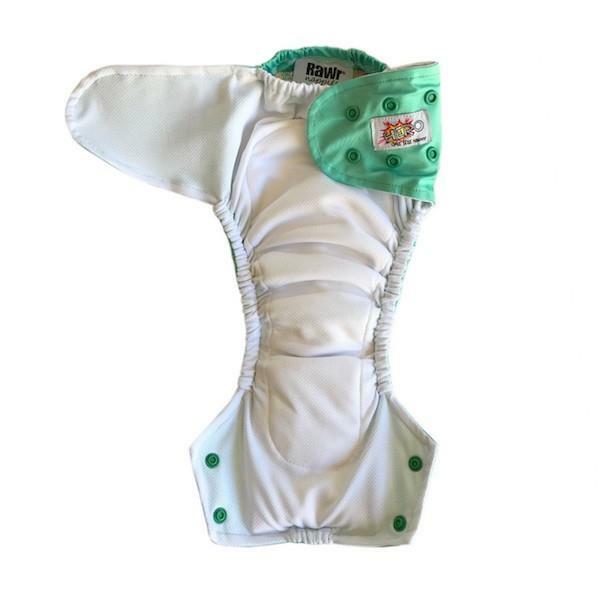 We prefer and recommend Tri Nature ALPHA PLUS laundry powder and pre-wash soaker for use with Modern Cloth Nappies.